In the last week of April, the Jewish Welcome Service (JWS) hosted around 40 Jews with Austrian roots in Vienna. An extensive program was arranged for the visitors from the USA, Israel and the UK, most of whom were descendants of the second generation. On November 10, the House of History Austria opens in the Neue Burg on Vienna’s Heldenplatz. This is the first museum of contemporary history in the country to be opened to the public. The Leon Zelman Prize for Dialog and Understanding was awarded for the sixth time this year. 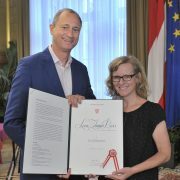 In mid-June, publicist Uli Jürgens accepted the award from Andreas Mailath-Pokorny, Vice President of the Jewish Welcome Service, at Vienna City Hall. 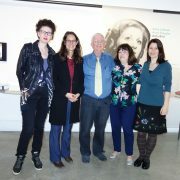 A group of young professionals from the Neuberger Holocaust Education Centre in Toronto visited Vienna from June 4 to 11. 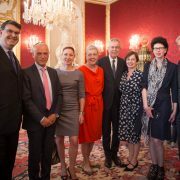 In cooperation with the Austrian Foreign Service, the Jewish Welcome Service prepared a varied program in which visitors learned about the Holocaust and current Jewish life in the city. Sham marriages as a survival strategy of Viennese Jewesses in 1938 – the Viennese exile researcher Irene Messinger dedicated herself to this topic in two ways this year: in January she co-edited the annotated memoirs of the Viennese dancer Anita Bild. 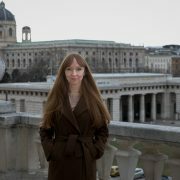 And now, together with Sabine Bergler, she has curated an exhibition on this topic at Museum Judenplatz. 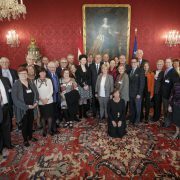 At the invitation of the Jewish Welcome Service, a group of 30 first- and second-generation Holocaust survivors visited Vienna from October 15 to October 20. 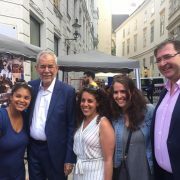 The guests from the USA, Israel, Denmark and Uruguay were welcomed by Austrian President Alexander Van der Bellen and City Councilman for Culture Andreas Mailath-Pokorny.